Hi my name is Sophia Dowell, I’m an undergraduate chemistry student from the University of Surrey. I have been working at the British Geological Survey for just over a year, joining the Inorganic Geochemistry team in Keyworth, Nottinghamshire as an industrial placement student in July 2017. The majority of my work whilst here has been focused around the operation of the Agilent 8900 triple quadrupole Inductively Coupled Plasma Mass Spectrometry (ICP-MS) under the supervision of Elliott Hamilton. ICP-MS is used for simultaneous multi element analysis, on a wide variety of sample matrix's from ground waters through to urines and bloods. I have been working on this instrument independently since March, and now have a much better understanding of both the operation and principles. As part of my work, I have also learned how to conduct key laboratory tests, such as determining soil pH and the Unified Barge Method (UBM) analysis for looking at elemental bioaccessibility. Now that my year is coming to an end at the BGS, I have started to train Nicholas Porter who is also a University of Surrey, industrial placement student. I am training Nicholas the basics and passing on my knowledge, so that he can continue my work within the ICP-MS laboratories. Alongside my work within the lab, I undertook a short research project looking at dust-to-crop transfer of chromium in Zambia. This links directly with Elliott’s PhD work and follows on from both Emily Leader and Lee Evans who were past placement students from the University of Surrey. Chromium (Cr) exists naturally in the environment as both trivalent (Cr (III)) and hexavalent (Cr (VI)) forms. Trivalent chromium is essential for animal well-being and is considered to be vital for insulin regulation and glucose metabolism inside the body. On the other hand hexavalent chromium is classified as a Group A human carcinogen with the respiratory tract being the main target organ for Cr(VI) following inhalation. Although chromium can enter the environment through natural processes the origin of Cr(VI) in the environment is largely anthropogenic. The study used dusts created from the Zambian soils Elliott collected whilst on fieldwork (Elliott Hamilton’s blog) in a glasshouse study at the University of Nottingham’s Sutton Bonington campus. Pumpkin leaves were grown over a period of 3 weeks before the Zambian dust was applied to the leaves. After 4 days the leaves were harvested and brought back to BGS for analysis. The leaves were digested and analysed using ICP-MS and it was found that the chromium concentration in the leaves exposed to the dusts was elevated in comparison to the control leaves. 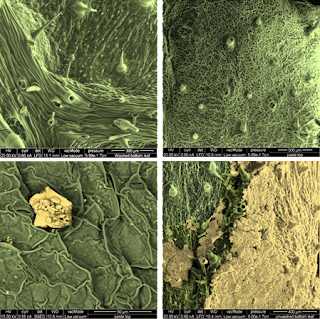 It was later determined, with the help of Dr Lorraine Field, that this increased concentration in washed leaves was likely due to dust particles adhering to the leaf surfaces, rather than through absorption as shown by scanning electron microscopy (SEM). The SEM images show dust on the washed leaves which was not visible to the human eye. After I have completed my placement, I will be returning to the University of Surrey for the final year of my undergraduate chemistry degree. I hope to continue into a career in environmental chemistry research after my degree, pursuing a MSc in analytical chemistry or geochemistry. 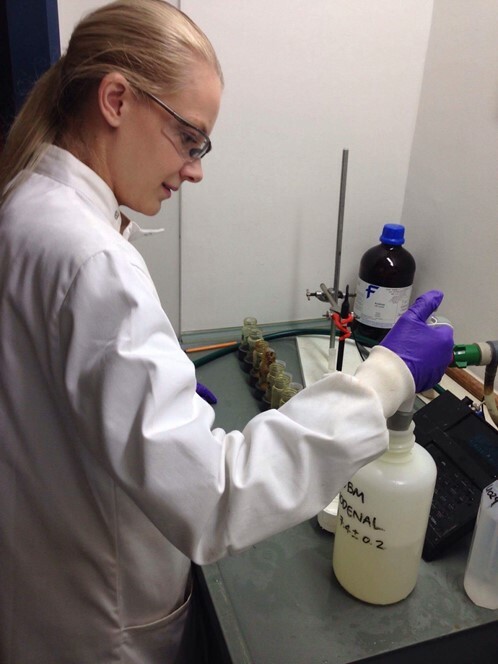 I have loved my time at BGS and in the Inorganic Geochemistry team and believe that the placement has helped me not only develop new laboratory skills that will make me more employable as a graduate, but it has also given me many positive memories of my time here! Hi, I'm Robert and I'm a 3rd year PhD student at Heriot-Watt University, researching the role of local knowledge in flood risk management in Malawi. I am jointly supervised by Heriot-Watt University (Dr Grant Wright, Prof Adebayo Adeloye), BGS (Dr Melanie Duncan) and Polytechnic Malawi (Dr Faidess Mwale), and funded through the Hydro Nation Scholars Programme by the Scottish Government. Throughout my PhD I have sought out a number of extracurricular activities. They have helped me better understand my research topic, meet people from different fields and countries, and taken me across the world. These activities have, in different ways, helped enhance my understanding of my topic and helped me develop as an early career researcher. By sharing my experiences, I hope to demonstrate to other PhD students how they could become involved in similar activities. What was I doing and why? When I was starting my PhD, the prospect of being dedicated to one single topic for 3-4 years of my life seemed a bit scary. 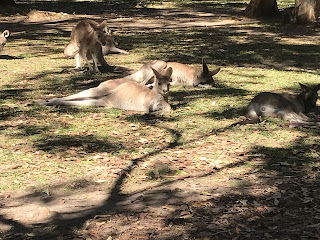 No matter how much I felt passionate about my field of research (Disaster Risk Reduction), I was very keen on introducing more dynamics into my life as a PhD student. But keeping in mind that time is a valuable resource, I wanted to be involved in initiatives that are still related to my professional and academic interests. That’s why I decided to become a volunteer with the Water Youth Network - WYN, a vibrant community of students and young professionals working as a global connector in the water sector. 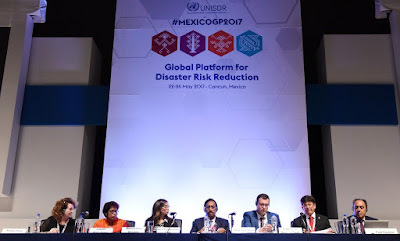 For the past two years, I have been a co-coordinator of the Disaster Risk Reduction working group within the WYN, and through my involvement in the WYN, I also had an opportunity to act as a Focal Point in the Science Policy Interface Disaster Risk Reduction team of the United Nations Major Group of Children and Youth. The last two years were a joy, because I had a chance to be a part of different types of projects, from involvement in policy advocacy, organising capacity-building workshops to organisational strategic development. I got to work with unbelievably driven international community of young people working across disciplines on creating sustainable futures. Where did it take me? Literally, it took me places, gave me exposure and opportunity to take part in global conversations. 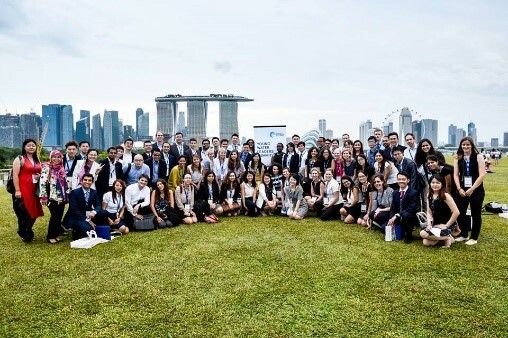 I was involved in organising the Young Water Leaders’ Summit during the 2016 Singapore International Water Week; I was an invited speaker at the United Nations HABITAT III conference in Ecuador in 2016; I was a co-chair at the UNISDR’s Global Platform on Disaster Risk Reduction in Mexico in 2017; I was a speaker at the ECOSOC Youth Forum at the UN Headquarters in New York City in 2018. 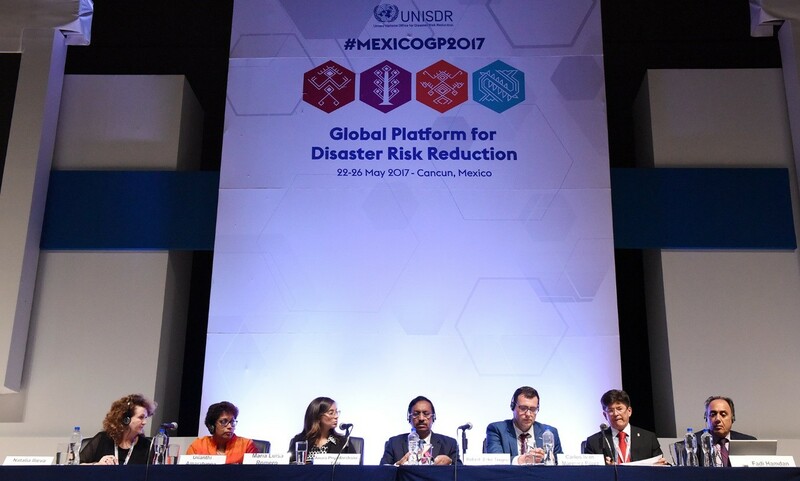 And my favourite part –I was part of the organising team for the Pressure Cooker Event on Risk Communication during the 2018 Understanding Risk Forum in Mexico City. (Read Anna Hicks and Jim Whiteley's blog for more on this event). How have all these activities benefited me and my research? Exposure to interdisciplinary environments: If we are to solve global challenges, one-size-fits-all solutions are not the way forward, and sometimes very differing perspectives need to be integrated. This lesson has also benefited my PhD, because it directly influenced how I was approaching the problem I am addressing, by making my approach more interdisciplinary. One thing led to another, and now, as a trained engineer, I am doing a qualitative study for my PhD using social science methodologies. Networking and collaboration: Being part of a youth organisation gave me the opportunity to meet inspiring people, both young leaders and ‘legends’ in the field. It’s directly beneficial for my study, because I got a chance to discuss and receive feedback on my PhD from a variety of people. 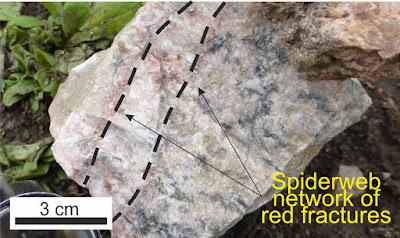 In addition, you never know what future collaborations might come out of your new network. For instance, during one of the events we were organising in the Netherlands, an idea emerged of jointly writing a journal paper with 9 other co-authors, which we later published in an academic journal. Leaving your comfort zone: As PhD students, we are very often tied to a specific topic and we rarely get an opportunity to explore how our research can influence policy and practice. While being involved in different projects, I got not only the chance to learn new things about my field, but also to see explicit links between my research and some of the critical policy issues. Learning new skills: We are all aware of the challenges of the academic job markets and increased interest towards developing so called ‘transferrable’ skills. Getting involved in work outside our PhDs can really help us develop these skills. I was lucky to learn a lot about, for instance, working in and leading interdisciplinary and international teams, fund raising and strategic thinking. Earlier this summer we had the privilege of welcoming visitors from the National Minerals Agency (NMA) and Petroleum Directorate (PD) of Sierra Leone. 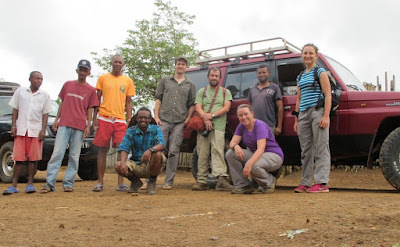 BGS has developed a strong partnership with these geoscience institutions since 2015 as part of a wider extractive support programme funded by the UK Department for International Development. This project has involved various BGS staff across multiple directorates over the last few years. The trip began with a visit to BGS HQ in Keyworth, meeting our very own John Ludden who gave our visitors a great introduction to BGS, our strategy and current governance model. 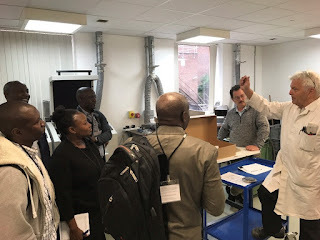 Following this Simon Chenery gave them a comprehensive tour of the Keyworth lab facilities from thin section prep through to the state-of-the-art equipment used across our projects. The NMA in particular took inspiration from this as they are currently in the process of setting up a laboratory with help and advice from the BGS. No trip to Keyworth is complete without a visit to the impressive core store; Scott Renshaw provided a tour, of which I am sure, impressed our visitors. 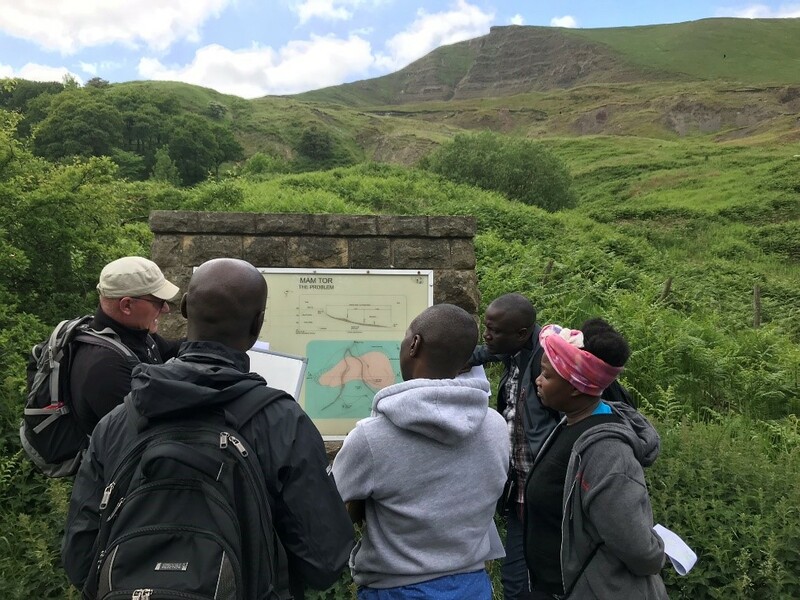 John Ford, Pete Hobbs and Leanne Hughes delivered an excellent day of field training in the Peak District demonstrating the use of digital geological mapping program SIGMA. We also visited the Mam Tor landslide that was of significant interest following the landslide disaster in Freetown last year. Following this, our guests were treated to some of the UK’s finest geology on a sunny day along the Yorkshire coastline, visiting classic Jurassic outcrops at Robin Hoods Bay and the Cretaceous chalk cliffs of Flamborough Head. 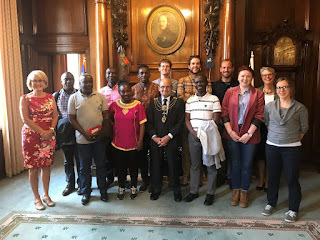 The trip concluded with a visit to Hull, with a special invitation to the Guildhall by the Mayor and the Freetown Society of Hull. 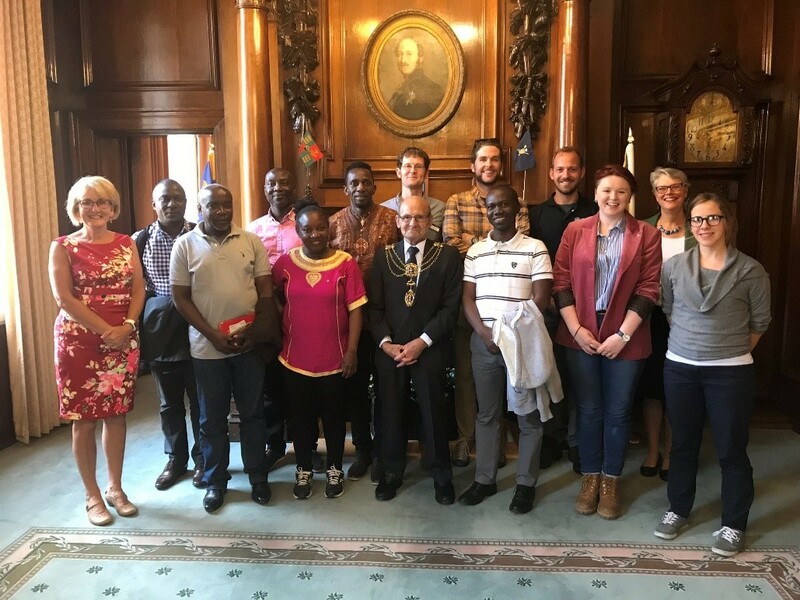 Hull and Freetown share a historical link and are established twinned cities, so this visit was a great opportunity to share experience and celebrate their partnership. Dr Liam Herringshaw also showed us around the geology department at the University of Hull. I would like to extend my gratitude to all of you who have been involved in organising this tour and/or worked on the project. I am sure we all look forward to continue developing this partnership with both institutions into the future. Katy Lee leads the Hazard & Resilience Modelling Team at BGS, focusing on the development of BGS data products and innovations. 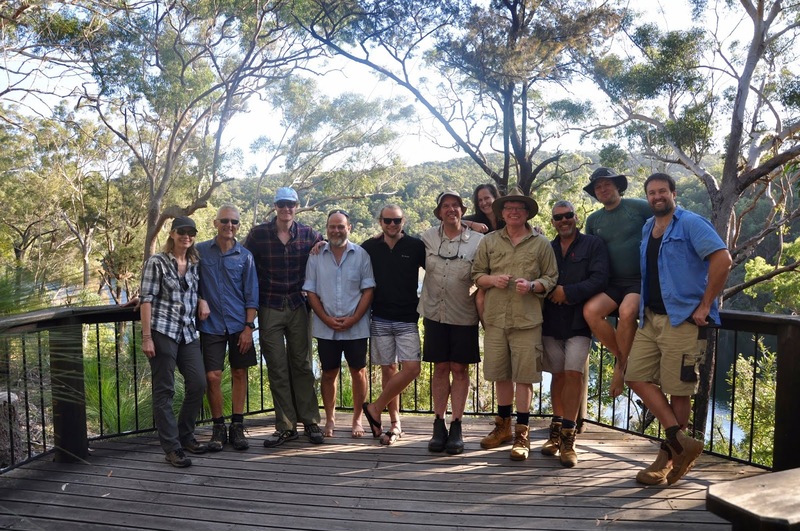 In our latest GeoBlogy she tells us about the recent BGS Innovation Bootcamp on geology and heritage. 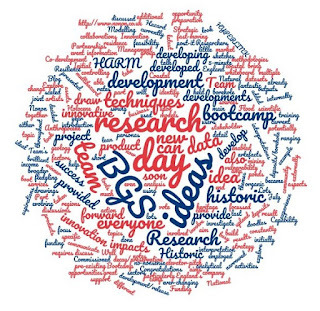 The BGS and Historic England (HE) have been developing joint research ideas at an ‘innovation boot camp’, held at BGS in July. Researchers from Historic England’s Strategic Research and Partnerships Team and BGS Hazard & Resilience Modelling (HARM) Team came together to discuss new research collaborations and innovative ideas. Co-development: Explore and develop methodologies with the aim to provide and develop new and pre-existing products and innovative services. Research: Ever-changing research developments result in constantly evolving outputs that product development can draw upon. For example, scientific research, developments in data analytical techniques (particularly fast-moving currently), Commissioned Research for specific users can potentially be scaled up to provide data from the broader community or even into other market sectors, and the development/release of new datasets both internally and externally. Funding opportunities: All development requires funding from either National Capability or other sources and we look to bring in additional income to support our product development activities. The bootcamp provided an ideal opportunity to explore some aspects of these aims and aspirations. Some of the team had already had ‘bootcamp’ training last year, provided by no-nonsense innovation company ‘Nonon’, which was a great success so we were able to draw on this experience and some of the techniques for this current event. 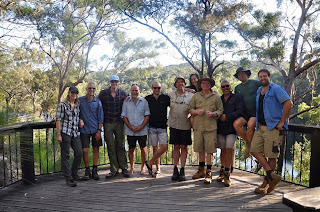 We had initially discussed multiple different project or topic ideas and, in preparation for the bootcamp, had narrowed it down to 7, ranging from: coastal change impacts to factors controlling rates of organic decay/preservation of historic artefacts. 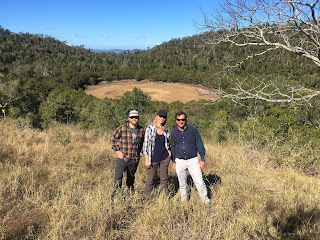 On the day, we focussed in on 4 main topics: using historic mining ponds in upland regions for Natural Flood Management; 3D borehole data interpretations for the Anthropocene and Holocene; multihazard impacts on historic assets; and Coastal vulnerability. We used tools and techniques for developing lean business models, stakeholder analysis, and personas. This enabled us to identify research themes that we could take forward and investigate in more detail. After a short introduction, the day soon swung into action and everyone became very busy. Initial discussions soon developed into fledgling ideas and then a little more information could be added. Lots of post-it notes and whiteboard doodles were employed throughout the day. We also had a brilliant team of ‘artists in residence’ to help communicate ideas through drawings and sketches. At the end of the day, each team presented their idea in a 5-minute elevator-pitch and a group vote decided that the 3D deposits/borehole interpretation idea was the winner! This idea will be taken forward by BGS and HE and developed into a feasibility project. Congratulations not only go to the 3D deposits team but also to everyone who took part, it was a fantastic day with much success and lots of ideas that we can now build on. Well done everyone. 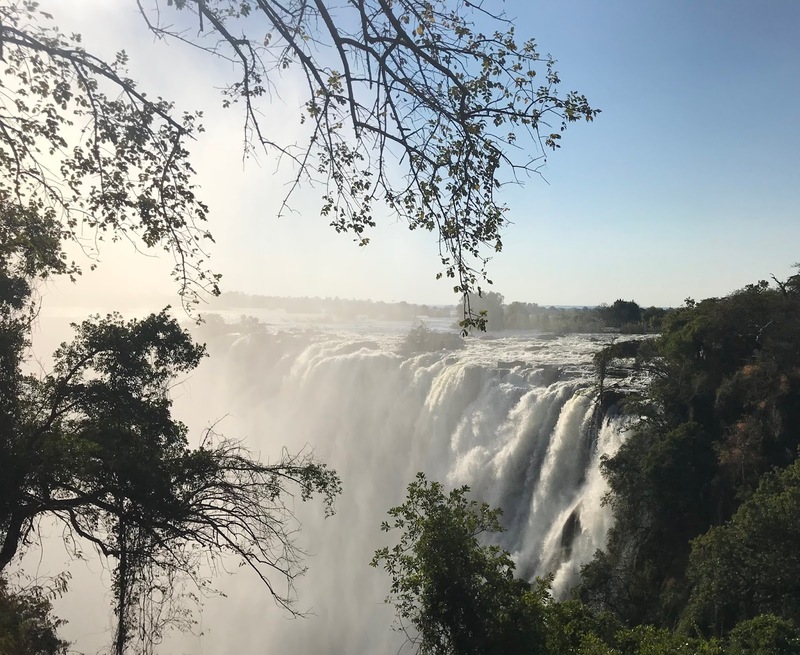 Michael Watts provides an insight into the 34th SEGH International Conference on Geochemistry for Sustainable Development that he recently attended at the Avani Victoria Falls Resort, Livingstone, Zambia from 2nd to 7th July 2018. 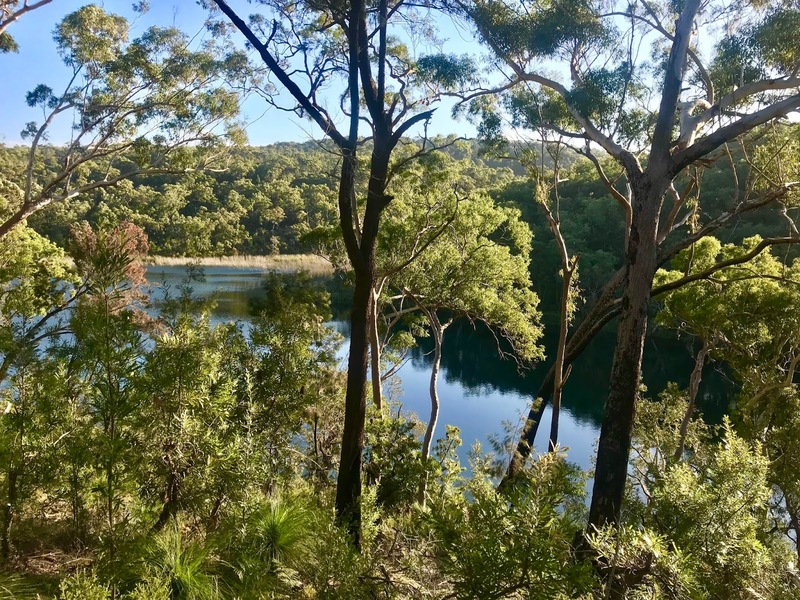 Whilst we had specialist presentations within each theme from the impact of mining to highly focussed talks about laboratory methods and mechanisms for nutrient/pollutant pathways, delegates also had a very healthy debate about corporate and social responsibility (CSR) for mining. Discussions were also had on ethics in science, with an audience participation talk from Kate Millar-University of Nottingham to round off the conference. In addition, presenters discussed activities where environmental sciences crossover with human and animal health. Presentations covered possible links between geochemistry and cancer from IARC-WHO, use of data for hazard-risk assessment criteria for contaminated soils and air pollution to implications for nutrient deficiencies and exposure to potentially harmful elements effecting wildlife. Implications for food production and food safety were discussed due to fertiliser overuse, urban development, pollution and with an ever increasing theme on fisheries, in particular the value of aquaculture to provide food/nutrient sufficiency, but also implications for antimicrobial resistance in fish (AMR). Conservation Agriculture to promote crop resilience and improve their micronutrient content. Laboratory method/technology development, with applications on improving the understanding of mechanistic pathways for pollutants or nutrients were discussed using isotope tracers and/or elemental speciation, along with organic pollutants, biomarkers for ecological and human health monitoring. Overall, each session was well attended throughout. Poster presentations were run across two evenings with social events, preceded by 90-second flash presentations, which generated a great deal of amusement with the delegates, given the competitiveness of the presenters to beat the clock – otherwise the audience would applaud at 90-seconds. This approach was certainly a big factor in helping to generate a relaxed atmosphere at the conference and encourage interaction between disciplines and levels of experience. This made for two vibrant poster sessions giving the presenters the much deserved attention and recognition posters require, where often valuable nuggets of scientific progress are to be found at conferences. Many thanks to the volunteers who provided the training workshops on day 4 following on from three days of presentations. The morning began with parallel sessions on an Introduction to QGIS given by Dr Daniel Middleton (IARC-WHO) alongside ‘Embedding Ethics in Experimental Design in Geochemistry Research’ by Dr Kate Millar (University of Nottingham), followed by ‘Reviewing manuscripts and getting published’ by Professor Jane Entwistle (Northumbria University). The afternoon followed with an ‘Introduction to R’ by Professor Murray Lark (University of Nottingham) in parallel with ‘Epidemiologic study design and interpretation’ by Dr Valerie McCormack and Dr Joachim Schuz (IARC-WHO). Given that the courses followed the conference programme and BOMA dinner, they were well attended with 18-20 in each of the technical courses and 11-16 in each of the vocational courses, with >50% of the participants from Africa. Another blog will follow on the SEGH website to describe further outcomes from the training courses and how we will link these into the setting up of an Early Career Researchers group – more on this later. 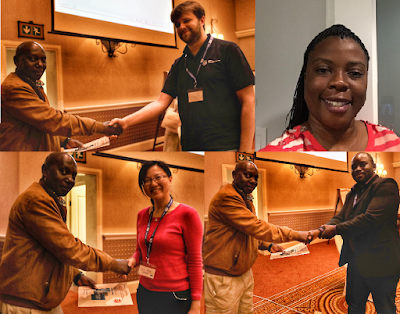 Prizes were awarded to Elliott Hamilton (British Geological Survey) and Lin Peng (Cancer Hospital of Shantou University Medical College) for best Oral presentations and to Nswana Kafwamfwa (Zambia Agriculture Research Institute-ZARI) and Mumba Mwape (ZARI) for best Poster presentations. Springer-Nature Publications provided book vouchers for 2 x $250 for Oral presentations and 2 x $150 for Poster presentations. The evening before the conference presentations started we held an ice-breaker at the Royal Livingstone Hotel alongside the Zambezi. A stunning setting to relax delegates and get them mixing with one another. Local media were present, with an article about the conference and SEGH appearing on page 2 of the Zambia Times the next day and interviews with delegates shown on local TV the following night – see @SocEGH Twitter for newspaper article #SEGH2018. Days 1 & 2 were rounded off by the poster sessions, with food and drinks, leading up to the BOMA-conference dinner next to the Zambezi, some 100m upstream of Victoria Falls. The food provided something for everyone, with a delicious braai accompanied by a local performing traditional dance and music, which gradually swept up even the most self-conscious people to dance the night away. The willingness of everyone to let their hair down and have fun was quite something, truly down to the warmth and fun you find in Africa. 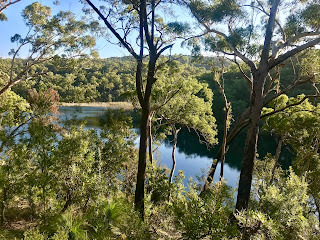 The fieldtrip incorporated a trip to a cultural village centre which I have to admit I didn’t attend, but I heard that it was an enriching visit to understand some of the local culture and to be welcomed into people’s homes – perhaps others can explain. 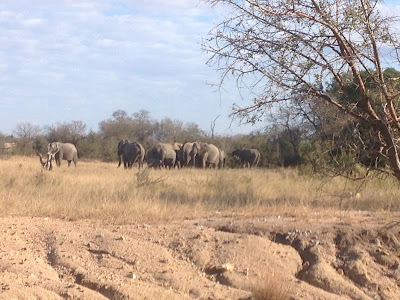 However, I did make the finale of the fieldtrip, the sunset cruise on the Zambezi. 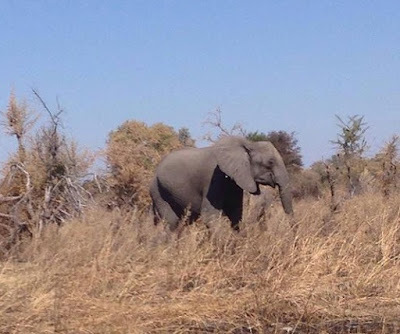 This was a fantastic way to round off the conference with a gentle trip upstream along the Zambezi attempting to spot wildlife on the banks with nice food and drinks, which of course led to more music and dancing on the boat. Many people continued their travels connecting with friends and family to make a holiday of the visit to the Victoria Falls region for wildlife viewing or crazy activities like bungee jumping or rafting the Zambezi. Whilst a lot of new connections were made and old cemented during the conference, SEGH also had a number of key tasks to perform for its future structure. Most of all, that included restructuring the international board to have four representatives from each of the European, Americas, Asia/Pacific regions and to set up a new section in Africa to fill a gap in multidisciplinary communities. Nominations will be called for shortly, with elections soon after. We will ask for greater contributions from members to drive the society forward, this could be ad hoc for information gathering or if members want to participate on the advisory council or through the Early Career Researchers (ECR) group. 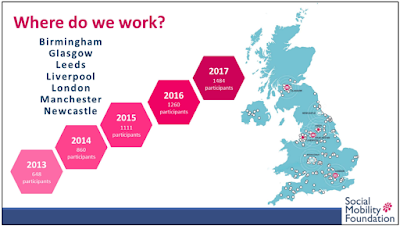 SEGH2018 was a big step in setting up the ECR, for which Jane Entwistle set out future plans to develop a programme of mentorship, training opportunities and interaction over a three year supported period whereby ECR members will be connected with appropriate SEGH members. We have an initial grouping of 25 ECR’s from SEGH2018 to develop the programme, which will become available to others to balance the demographics as we establish the programme. We also see this grouping as a test bed and for generating new ideas to develop SEGH, improving communication with social media and hopefully for succession management to run SEGH in the future. ECR’s will have an opportunity to develop through to a Fellowship status for SEGH (FSEGH), as will senior researchers who have been engaged with SEGH for a number of years. Jane Entwistle will follow up with more information on this later. We reported that the impact factor for the SEGH journal, Environmental Geochemistry and Health (EGAH) increased again this year to 2.99, continuing its success as a home for multidisciplinary science. Members can access the journal through the log-in button on the front page of www.segh.net Delegates, please remember we have a special issue in EGAH for the conference. Please indicate your interest by the 20th August. We will aim for a submission date of 12th October. Many thanks to the people who helped to bring together the conference – there were many! We had a lot of encouraging words about the conference, please do post any comments on Twitter. In particular, many thanks to the sponsors who helped in keeping the social programme inclusive for all delegates – Agilent Technologies, First Quantum, Trace2O-Wagtech, Retsch, Spectro-Ametek and Chemetrix. Michael Watts is Head of Inorganic Geochemistry at the University of Nottingham - British Geological Survey Centre for Environmental Geochemistry. Coleen Murty is a PhD student funded through the BGS University Funding Initiative (BUFI) who has been taking part in the Social Mobility Foundation mentoring scheme. Many BUFI students are involved with activities outside their research such as volunteering and outreach programmes, making them much more rounded and contributing further to their personal development skills. 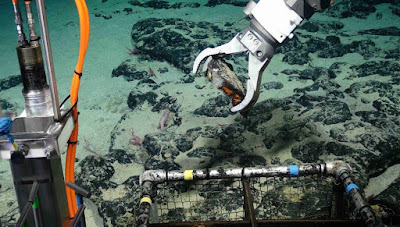 Being a world leading geological survey, the BGS is dedicated to working for the benefit of society and thus, improving the social mobility of young people wishing to pursue a career in environmental sciences is highly relevant to what they do. The UK has one of the lowest social mobility indexes and highest inequality in the developed world. A low ability child from a high income family is 35% more likely to be a high earner than a high ability child from a low income family. Today employers focus on past academic ability/polish rather than potential, and gender/ethnicity rather than socio-economic background. The Social Mobility Foundation (SMF) are a charity which aims to make a practical improvement in social mobility for high-achieving young people from disadvantaged backgrounds. Every year the SMF supports over 1500 year 12/S5 students across the UK, who have the ability to flourish at top universities and professions but lack the encouragement and networks to help them get there. This is my main reason for becoming a mentor with the charity in April 2018 and is the first time I’ve ever been part of such a rewarding and influential scheme that makes a positive difference to young people’s lives all over the UK. In addition to the mentoring scheme, the SMF offers other services as part of their programme such as helping students get industrial work placements etc. Being a mentor allows me to share the knowledge and experiences I’ve had specialising in a science-based discipline and encourage future generations to pursue their chosen career path. This not only improves the skills, knowledge and confidence of a bright young person, it also allows me to develop my communication and feedback skills. Mentoring gives you the opportunity for self-reflection, looking at how you got to where you are and what you’ve learned. The process of mentoring generally involves providing an insight into a professional career which the student aspires to enter as you are likely to be the only person/one of the few people they’ve ever met in the sector and thus, your role as a mentor is invaluable to them. The SMF pair you with your mentee based on your profession and career sector they wish to enter. The mentoring cycle runs for one year and mainly consists of communicating through email and possible meetings if your mentee is based in the same city (which isn’t always the case). As a mentor you can use different approaches to help your mentee reach their goals; this could be anything from providing insights of university life, giving advice on applications, personal statements or subject-specific guidance etc. Being based in Newcastle, all my e-mentoring work takes place here however the charity provides options to attend local/national meet ups where you can meet your mentee. The flexible mentoring approach allows email communications with your mentee to be as often as weekly or fortnightly, however the charity do prefer if this is at least once every fortnight so the mentee can really benefit from continual guidance and encouragement. Overall, I highly recommend this scheme, it’s just one of the many support services offered by the SMF to help these school students in every way they can, plus it’s great to be involved with something out with the research as it can get isolating at times! The charity also provide support to mentors as we aren’t expected to know everything! So even if you’re not sure how to answer a question or provide guidance on personal statements (as it was a long time ago – I know mine was! ), there is always someone there for advice in case its needed. If you would like to know more about the Social Mobility Foundation, visit their website. There are many ways to get involved including: mentoring, providing work placements, offering venues and speakers for events etc. The charity are currently active in; Birmingham, Leeds, Liverpool, Newcastle, Glasgow, Manchester and London. However, they are working on regional expansion to reach students and professionals in areas with high social mobility issues. To sign up for the next mentoring cycle with the Social Mobility Foundation then just click here. Coleen Murty is supervised by Dr Christopher Vane (BGS) and Dr Geoff Abbott (Newcastle University). The aim of BUFI is to encourage and fund science at the PhD level. 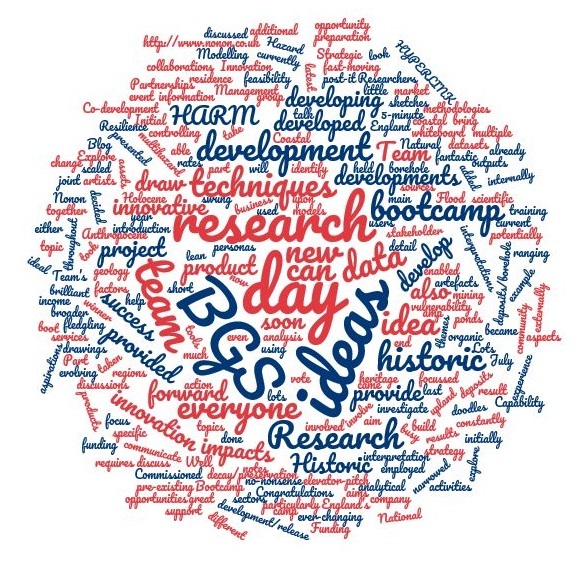 Currently the BGS supports over 100 PhD students based around 35 UK universities and research institutes. Driven by concerns about climate change, air pollution and energy security the world is undergoing a fundamental transition towards a low carbon future. Decarbonisation of transport is key to this transition and many nations are actively promoting the change from internal-combustion engine (ICE) powertrains to electric vehicles (EV). Many countries, including the UK, have ambitious plans for all new vehicles to be zero emission by 2050 or earlier. In 2018 the UK Industrial Strategy and Automotive Sector Deal outlined the support that the government will make available for development of the EV sector in the UK. However, this strategy so far fails to consider future demand for raw materials and how supplies will be secured. 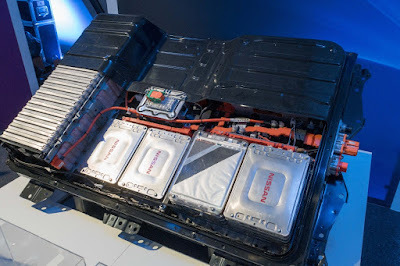 In order to function EVs require a powertrain (electric motor) and a means of storing energy (a lithium-ion battery (LIB) or hydrogen fuel cell). The raw materials needed for these devices are very different to those used in conventional ICE vehicles. Electric motors utilise high-strength magnets made from rare earth elements (REE) such as neodymium and dysprosium. LIBs require several raw materials including lithium, cobalt, nickel, manganese and graphite. 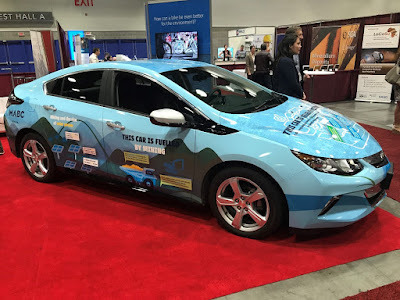 Hydrogen fuel cells require platinum group metals (PGM). 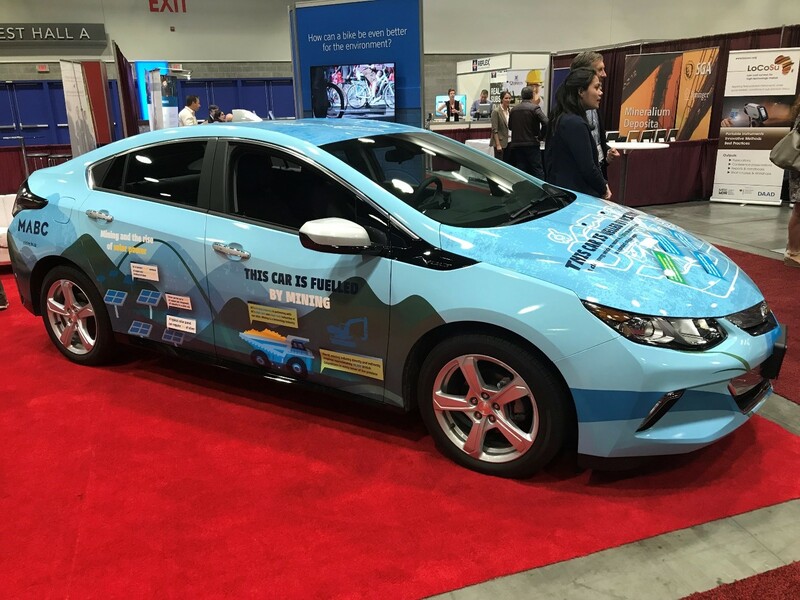 The quantities of these materials used are substantial: a typical family-size EV (such as a Chevrolet Bolt) has a battery which contains about 10 kg lithium, 24 kg nickel and 63 kg graphite and a motor with about 1 kg of neodymium and dysprosium. An EV will contain about 80 per cent more copper than the equivalent ICE vehicle. In addition substantial amounts of copper, cobalt, nickel and other metals will be required for power generation, grid storage and charging infrastructure. Since 2010 global EV sales have grown rapidly, led by China and followed, at some distance, by USA, Europe and Japan. However, the EC predicts that the European battery market could be worth up to EUR 250 billion from 2025 onwards . Future growth is difficult to quantify, but the International Energy Agency forecasts that the global EV stock might grow from 3 million cars in 2017 to 220 million by 2030. This growth will create substantial additional demand for the raw material needed in powertrains and energy storage systems. 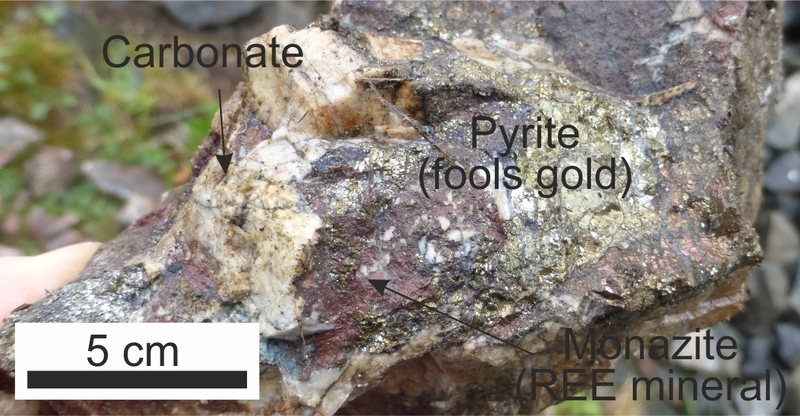 Some of these materials (notably cobalt, REE and PGM) are classified as ‘critical’ . Global production of some, such as lithium and cobalt, will have to grow by orders of magnitude in order to satisfy the predicted growth in EV manufacturing. All these materials are ultimately derived from the Earth’s crust and without them there would be no manufacturing and no recycling. In order to establish and maintain a UK EV industry that includes the manufacture of batteries and powertrains it is essential to have timely and responsibly-sourced long-term supplies of the essential raw materials. Given the current uncertainties related to global trade and that many countries have similar aims, the UK must ensure material supply security to implement the low carbon transition and to meet climate change and air pollution targets. BGS is building a strong UK and international reputation in this rapidly-evolving area. Working with academic and industry partners we have won a number of substantial research grants related to critical raw materials from NERC, EU H2020 and InnovateUK. BGS is also active in providing technical advice on this topic to inform policy makers in the UK (BEIS, GO-Science, Cabinet Office, DIT), as well as the European Commission. Official Development Assistance: mineral resource governance and capacity-building, artisanal and small-scale mining.